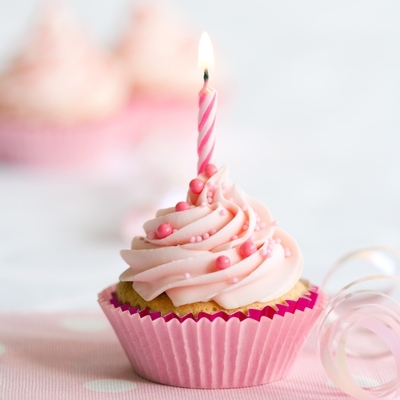 The first birthday celebrates the most important time in the entire life of your teeth. By a child’s first birthday, front incisor teeth provide a surface for plaque germs to grow and multiply. As baby molars erupt in the second year of life, grooves in their biting surfaces quickly become infected with the resident mouth germs. Studies show that if healthy germs enter these grooves, they multiply there and dominate the mouth, protecting teeth from decay. On the other hand, if harmful germs get into these grooves, they can cause cavities, first in baby teeth and later in the adult teeth. Pediatric studies show that children with healthy teeth at 4 years old are 80 percent more likely to have good teeth for life. The health of baby molars is important for the future health of a child’s mouth. Ensure a child’s mouth is healthy by the first birthday (before baby molars erupt) and you will be protecting your child’s oral health – possibly for life. The first year of life is the best time to stop cavities – with just a little xylitol each day. A solution of granular xylitol crystals in water can be wiped or brushed over baby teeth, or a child can sip a little xylitol dissolved in water or milk. The secret is to use a little every day. Sprinkle xylitol on fruit or yogurt as a dessert, or use a Zellie Bear to protect teeth after eating or drinking. Xylitol is ideal before sleep or nap time, and after eating or drinking sugary or sticky foods. Recent studies show that the quantity of xylitol used for an infant or toddler is not important. You need to get a little xylitol onto baby teeth several times each day – especially after meals and before sleeping. My 14 month old son has had 6 teeth erupt and the top 4 have white spots on the edges. He was both breast and formula fed (50/50) and I was on dicloxacillin to treat mastitis for 10 days when he was a newborn. I didn’t take any medication when I was pregnant and I was only sick once at the very beginning of my pregnancy and my fever wasn’t unusually high. Is it possible to know what caused the white spots? Is there anyway to save his permanent teeth from the same fate? Can the white spots be lessened? I brought him to a local pediatric dentist (we are based in NYC), but she didn’t recommend the same approach as you, and just suggested brushing twice a day, periodic fluoride treatments and drinking fluoridated water. I’m worried about the fluoride he’s been exposed to. I didn’t realize there was fluoride in formula and we did sometimes use tap water that was purified, but not to remove fluoride. I’ve been using xylitol wipes twice a day since his first tooth erupted at 9 months. What else can I do? Can you recommend a dentist in my area? There is so much evidence showing the benefits of xylitol – I question any pediatric dentist who does not suggest xylitol as part of the program. Let’s see if anyone can maybe recommend a dentist for a young child in the NY area. Truly, your best approach is with xylitol – and there is nothing a dentist can do for your child at this age to change the long term outcome. Prevention – prevention – prevention is the mantra for you! Be careful of juices and be aware of sugars in many foods that feed harmful bacteria.If you want to take a picture of these teeth – feel free to send it to my email address – ellie@zellies.com.This white marking would not be fluorosis – that occurs in permanent teeth only, so don’t be so afraid of fluoride that you miss out on its benefits! The white markings are most likely demineralization – and with correct home care you should be able to get them to go away.